From the moment she burst into the downtown art scene, seventeen-year-old Addison Stone was someone to watch. Her trademark subversive street art and her violent drowning left her fans and critics craving to know more about this brilliant wild-child who shone so bright and was gone too soon. 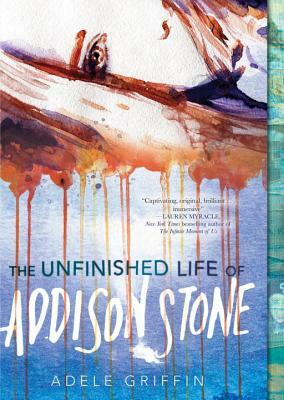 Two-time National Book Award finalist Adele Griffin offers an ingenious fictional take on celebrity biography, as told in first person interviews through the eyes of Addison Stone's parents, friends, boyfriends, mentors, critics, and more punctuated in full color with Addison's artwork, photographs, and emails. When it comes to Addison's untimely and mysterious death, nobody escapes unscathed.